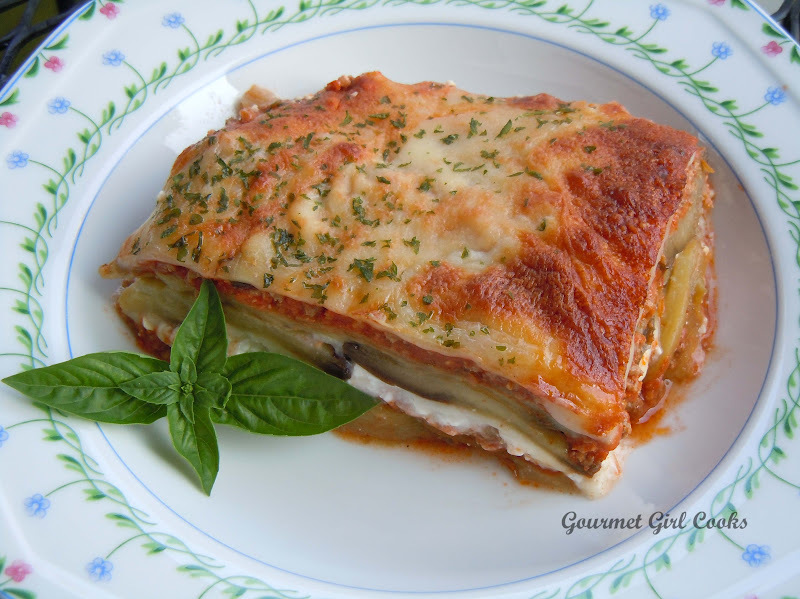 It is Thursday evening and hubby and I are having leftover Eggplant Lasagna that I made Tuesday night. I love making a meal and having leftovers to enjoy again...it's like a night off! I will say though, that this Eggplant Lasagna is even better the next day -- the flavors infuse and meld together. Also, one good thing about getting a chance to eat it the next day is that it looks much prettier too. Whenever I make lasagna of any kind (even the traditional noodle version), I am always too anxious to wait and let it cool down and set properly and then you don't get the pretty squares you like when you cut it. Well, I snapped a picture of tonight's "leftover" Eggplant Lasagna so you can see what it looks like inside. Enjoy!